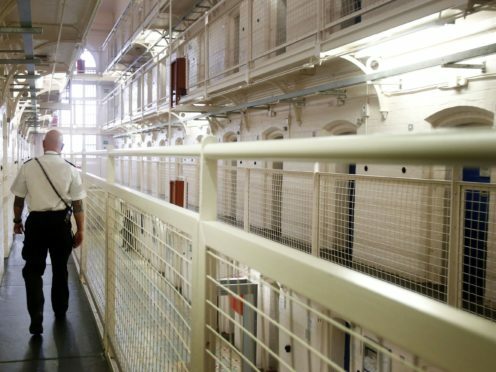 The study, a joint venture by the University of Glasgow and the Scottish Prison Service, looked at all the country’s inmates along with electronic records of hospital admissions. It also estimated 10% of prisoners have suffered a severe head injury during their lives – or multiple injuries likely to lead to a disability. Traumatic brain injuries can result in emotional and personality changes such as impulsiveness, aggression or poorer judgment of control or temper. Tom McMillan, university professor of clinical neuropsychology, said: “It is accepted that there is a need to understand head injury in prisoners in order to plan interventions to reduce associated disability and risk of reoffending. “This study demonstrates just how prevalent serious head injury is in prisoners in Scotland. The prevalence of hospital admissions was also found to be high in prisoners (25%) compared to the general population from similar backgrounds (18%). The study also suggested having three or more head injuries resulting in a hospital visit was more common among inmates. Prof McMillan added: “To adequately address these issues we needed to estimate not just how many prisoners may have had a head injury at some point in their lives, but how many are likely to have persisting disability and need help – many people recover after a single, non-serious head injury. “Our programme is working towards development of education and training media for staff and prisoners about head injury and its effects. “This will help prisoners who are at risk of further head injury, and help staff to identify and manage prisoners with head injury. The paper – The Lifetime Prevalence of Hospitalised Head Injury in Scottish Prisons: A Population Study – is published in PLOS ONE and is funded by the National Prisoner Healthcare Network.